Rodamiento a bolas 607-ZZ dimensiones 7x19x6mm. Con dos tapas obturadoras para el cierre metálicas (ZZ). Marca GPZ. Ball bearing 607-ZZ dimensions 7x19x6mm. With two metal closure covers (ZZ). Brand FAG. Ball bearing 607-2RS dimensions 7x19x6mm. With two sealing covers for the closure, covered with rubber (2RS). Brand FAG. Ref: 607-2RSR-HLC. Rodamiento a bolas 608-ZZ dimensiones 8x22x7mm. Con dos tapas obturadoras para el cierre metálicas (ZZ). Marca GPZ. Rodamiento a bolas 608-2RS, dimensiones 8x22x7mm. Con dos tapas obturadoras para el cierre, recubiertas de goma (2RS). Marca GPZ. 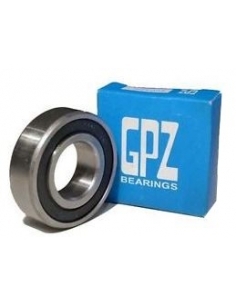 Ball bearing 608-ZZ dimensions 8x22x7mm. With two metal closure covers (ZZ). Brand FAG. 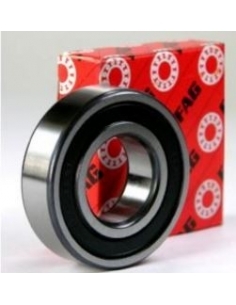 Ball bearing 608-2RS dimensions 8x22x7mm. With two sealing covers for the closure, covered with rubber (2RS). Brand FAG. Ref: 608-2RSR-HLC. Rodamiento a bolas 609-ZZ dimensiones 9x24x7mm. Con dos tapas obturadoras para el cierre metálicas (ZZ). Marca GPZ. Rodamiento a bolas 609-2RS, dimensiones 9x24x7mm. Con dos tapas obturadoras para el cierre, recubiertas de goma (2RS). Marca GPZ. 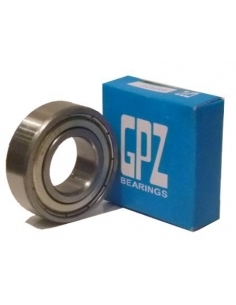 Ball bearing 609-ZZ dimensions 9x24x7mm. With two metal closure covers (ZZ). Brand FAG. 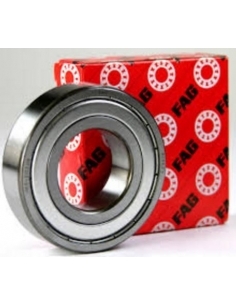 Ball bearing 609-2RS dimensions 9x24x7mm. With two sealing covers for the closure, covered with rubber (2RS). Brand FAG. Ref: 609-2RSR-HLC. 623-ZZ ball bearing dimensions Ø3xØ10x4mm. With two metal closure covers (ZZ). Brand FAG. 624-ZZ ball bearing dimensions Ø4xØ13x5mm. With two metal closure covers (ZZ). Brand FAG. 625-ZZ ball bearing dimensions Ø5xØ16x5mm. With two metal closure covers (ZZ). Brand FAG.